On a cold crisp Bank holiday Monday in Cork , Fiona Meade Coached a very comprehensive and fun skills workshop for Munster U16 girls & senior women. Riders traveled from Cork and Kerry to avail of the instruction , and advice from the former Irish professional & National Champion. Working individually with the riders , Fiona had them working through a progression of skills from cone weaving, to cornering left and right at speed . 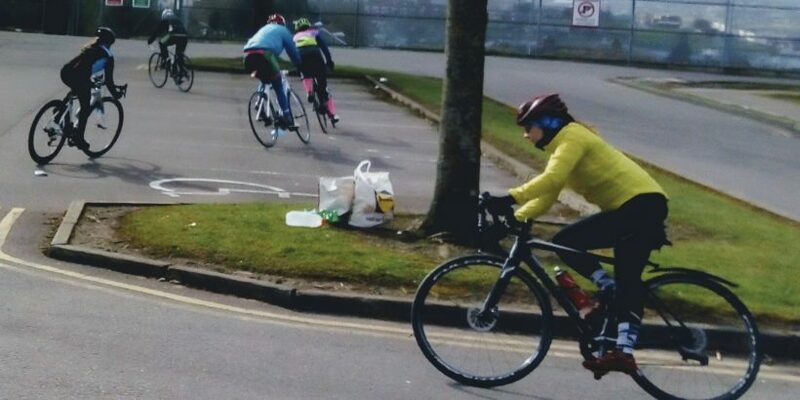 WC Munster Rep Pauline Russell was delighted to have a rider of the calibre & success of Fiona Meade , giving up her time selflessly to help with the future of Munster Women’s Cycling . Looking forward to more spins and workshops to come .